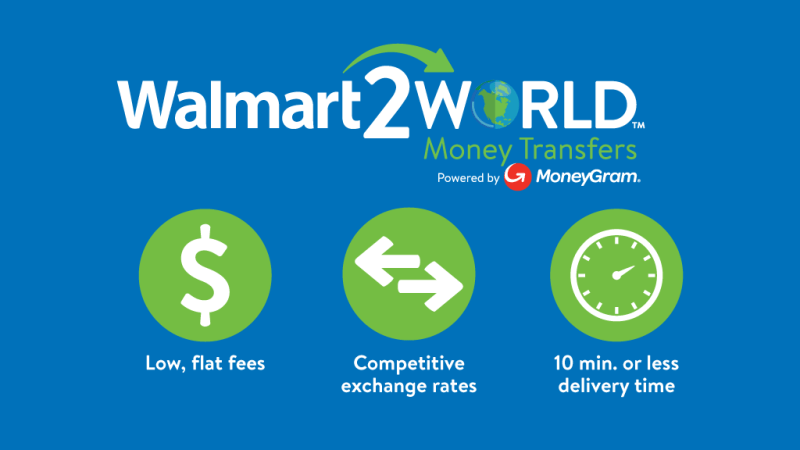 On Tuesday, April 3rd, Walmart and Moneygram partnered to launch a new global money remitting service known as Wallmart2World. This is good news for the Ripple (XRP) community for Moneygram had already partnered with Ripple in early January. Moneygram is testing out Ripple’s xRapid payment solution that comes with all the good properties of Ripple: secure on the blockchain, fast (3.3 seconds per transaction) and cheap ($0.0004 per transaction). Walmart is one of the largest multinational retail corporation that was founded in 1962 and continues to grow its wings around the globe. Walmart is currently in 28 countries with 11,718 stores. It is also the world’s largest company by revenue: approximately $48 Billion according to Fortune Global 500 list in 2016. Moneygram is the second largest provider of money transfers in the world. It operates in over 200 countries with a global network of approximately 347,000 agent offices. The company’s revenue according to 2017 data was estimated at $1.6 Billion with a reported growth of 25% the same year. Moneygram is testing xRapid. What is it? And when will it be integrated? There has been no definite date as to when the testing will be completed and full integration of xRapid into Moneygram services. When the testing is complete and xRapid is utilized, this could be the moment for XRP once again in the markets.